(Naples, FL) – Russell A. Budd, president of Wall Systems, Inc. of Southwest Florida has renewed his Designated Responsible Individual “DRI” Certification through Underwriters Laboratories. As the Designated Responsible Individual, Budd is personally responsible for the oversight and management of the firm’s firestop division. He has eight years of experience in firestopping and has received extensive education in the proper selection and installation of firestop systems according to UL or ULC Fire Resistance Design. Earning a DRI renewal includes earning 60 continuing education hours or taking a written examination to demonstrate expertise every three years. 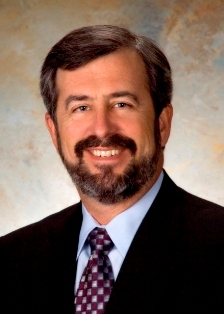 Budd is the founder of Wall Systems, Inc. of Southwest Florida. Since 1986, he has demonstrated his commitment to the community and the industry with an active involvement. He is a past president of the Florida Wall & Ceiling Contractors Association, former board member of the Florida Home Builders Association. He is a past president of the Collier Building Industry Association, where he was selected as the 1994 “Builder of the Year.” More recently, Budd was one of the inaugural inductees in the CBIA’s Collier Housing Hall of Fame. Wall Systems, Inc. of Southwest Florida is the only UL Qualified Firestop Contractor and FM 4991 Approved Firestop Contractor in the state of Florida. For more information visit www.walls-swfl.com or call (239)643-1921.